AIStart is a simple application that will let you create a new Illustrator document with some startup settings. Choose File > Save to save your startup settings so that you can create a new Illustrator document right away when you launch ALStart again. 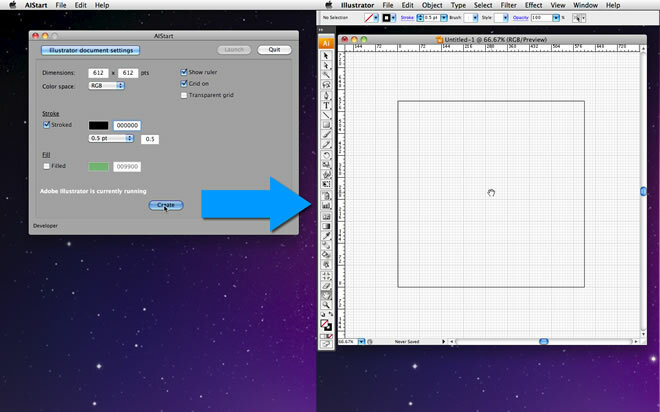 Click on the button to download a beta version of AIStart for Mac OS X 10.6. The user can control the view size of a document. AIStart is a product of MacHouse. Illustrator is a product of Adobe Systems, Incorporated.